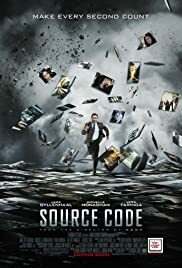 Source Code is the 2nd feature film from English Director Duncan Jones (son of David Bowie). Duncan has showed audiences twice now that his narrative can be told boldly without excessive explosions and unnecessary cgi by exploring an idea and the implications it entails; which is what should be the basis of any story. Jake Gyllenhaal is Colter Stevens, an Army helicopter pilot; Or at least he's convinced he is. 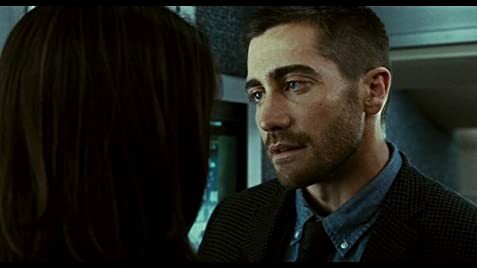 After waking on a Chicago train unaware of his surroundings or Christina (Michelle Monaghan), a woman so eagerly talking to him, Colter discovers that everything is not as it seems. Following being referred to as Sean and a deep look into the bathroom mirror, Colter learns that his appearance and character on the outside is not the one he knows. Waking as himself his real self this is, Colter finds himself talking to Colleen Goodwin (Vera Farmiga) a scientist for an unknown organisation. Post a series of memory regaining techniques, he is informed that the commuter train he was previously on has been destroyed by a terrorist attack, which is only the beginning of disastrous attacks to follow. Colter learns that the brain of one of the victims contains memories of the last 8 minutes prior to the explosion, and by re-running those minutes they can discover their terrorist and prevent a major attack on Chicago. An advanced computer program run by the mysterious organisation allows Colter to live the final 8 minutes and discover the terrorist before it's too late. Experiencing Déjà vu on every re-entry aboard the train, Colter can remember all of the memories of his previous visits, even though for Christina and the other passengers aboard it's happening for the first time. 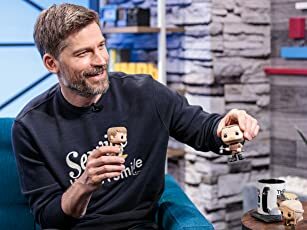 Our hero begins to care for Christina, as much as any male would for any number of characters portrayed by Michelle Monaghan in recent times. Colter's ability to act upon free will within the 8 minutes produces the idea that he could positively change the outcome for himself, the passengers, the scientists and most importantly the love interest. The mastermind behind the operation Dr. Rutledge (Jeffrey Wright) is desperate for it's success regardless of the lives it may cost along the way, which could compromise Colter's outcome. In a race to save Chicago from certain destruction Colter is destined for selfless courage. The well casted characters are certainly above satisfaction, particularly Vera Farmiga who although is not the love interest will win the heart of the viewer. Don Burgess' photography is great, steady camera-work makes all the scenes believable despite the science of the story being absurd, but that's what makes Sci-fi so enjoyable. Perhaps it was the sound quality of the cinema I was in but I wasn't taken by Chris Bacon's Music Score it doesn't even put a notch on Clint Mansell's work collaborating with Jones on his previous film. Whether it be a Trademark from the director or a homage to his previous film "Moon", Jones includes a subtle reference that fans will easily notice if not the first time around there's a 2nd hint. 56 of 84 people found this review helpful. Was this review helpful to you?